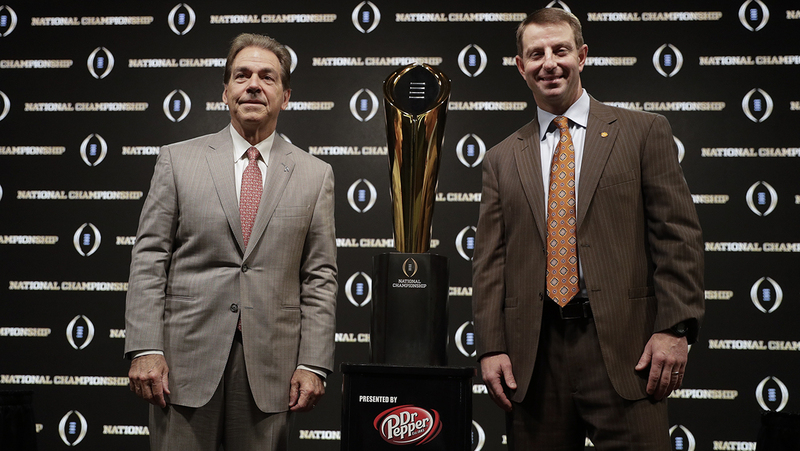 SANTA CLARA, Calif. -- The College Football Playoff National Championship will take place at Levi's Stadium tonight. The weekend rain canceled some of the festivities, but today things will be in full swing. Game time is at 5 p.m. and tickets are historically cheap. Tickets on Ticketmaster were being offered as little as $167 for a seat. The game is happening rain or shine. Last night the wet weather forced the cancellation of the concert at Discovery Meadow Park in Downtown San Jose. Ellie Goulding and One Republic were supposed to perform. The Imagine Dragons and Lil Wayne rehearsal on Treasure Island was also cancelled Sunday due to high winds and inclement weather. The two are teaming up for the College Football Playoff Halftime Performance tonight. The Allstate Championship Tailgate is happening on the other side of the gates. Fans with tickets can come in early and have a full day of outdoor activities including live music, food, sports broadcasts and even a zip line for fans.